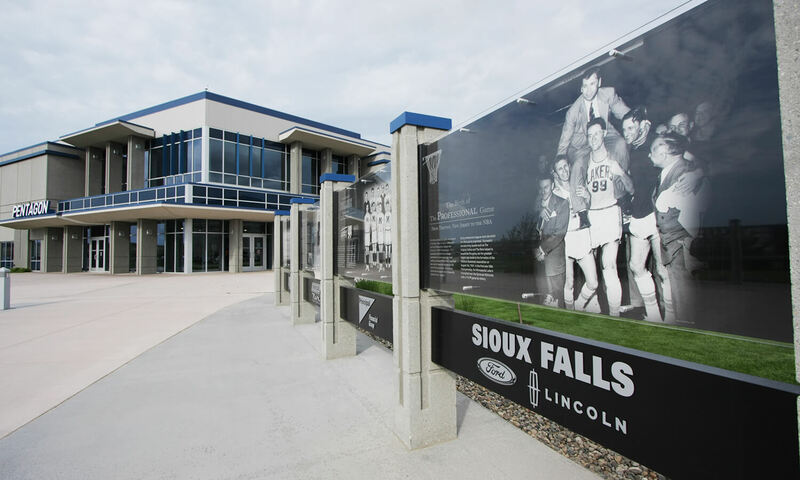 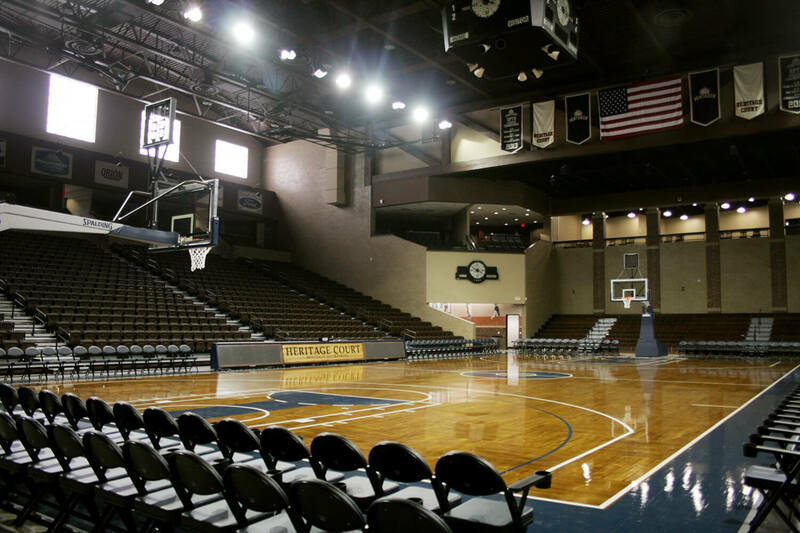 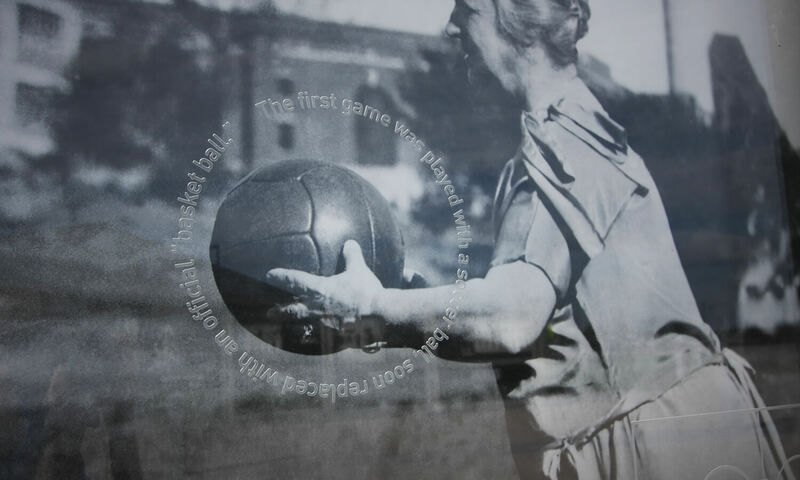 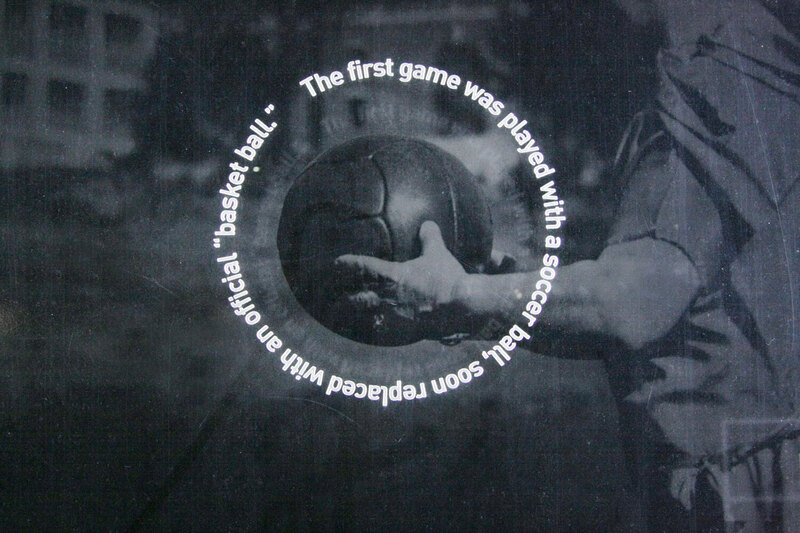 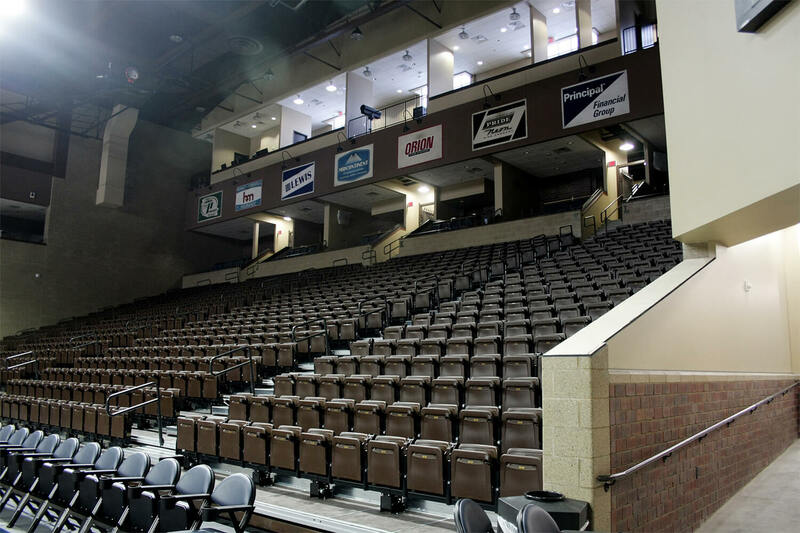 The Sanford Pentagon, and especially the main playing area called the Heritage Court, was designed to echo the 1950’s era of basketball history. 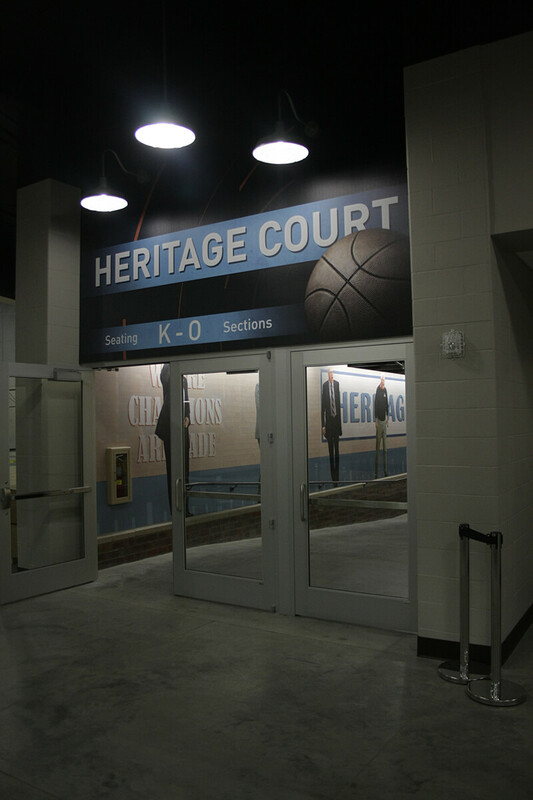 From the finishes used in the building to the signs and displays on the walls, each element was chosen to support that “heritage” feel. 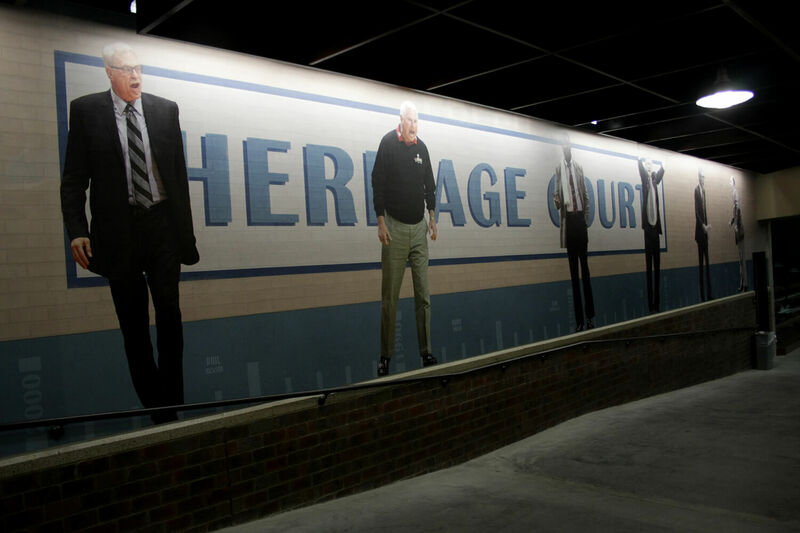 We worked with the Sanford team to develop the hanging felt banners, the four large murals on the entrance ramps and sponsor signs to be displayed in the Heritage Court that supported and enriched the connection to basketball’s history. 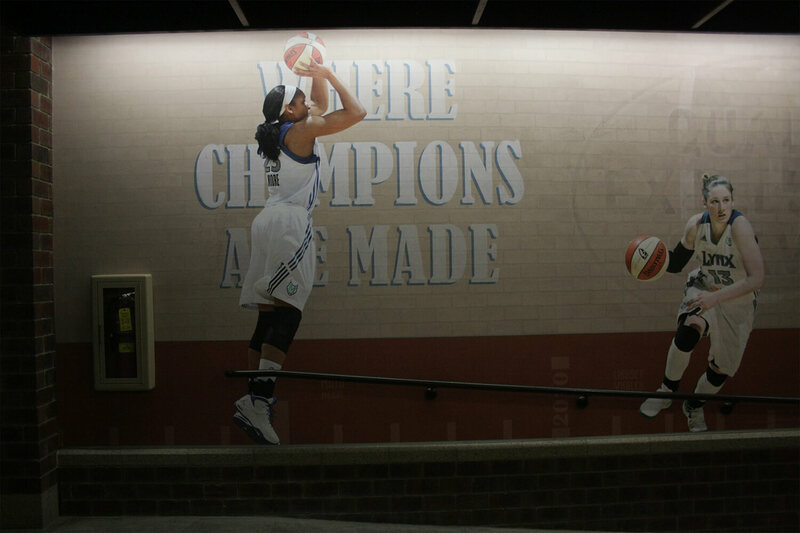 The four entrance ramp murals highlight some of the key figures from the history of the game. 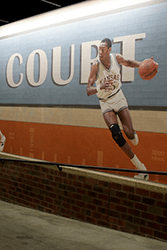 Each mural focuses on one of four groups: Women, professional and college athletes, and coaches, with one figure from each decade. 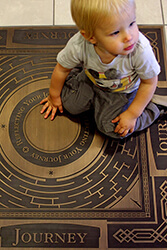 The most recent figure is just inside the entrance, and the spectator goes back in time as they get nearer to the Heritage Court. 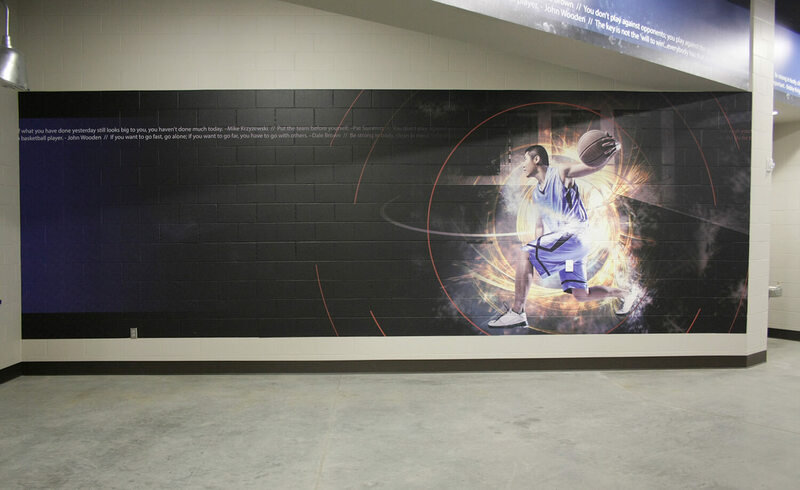 For the displays and murals outside the Heritage Court, we developed a look and feel that captures the intensity and energy of the game. 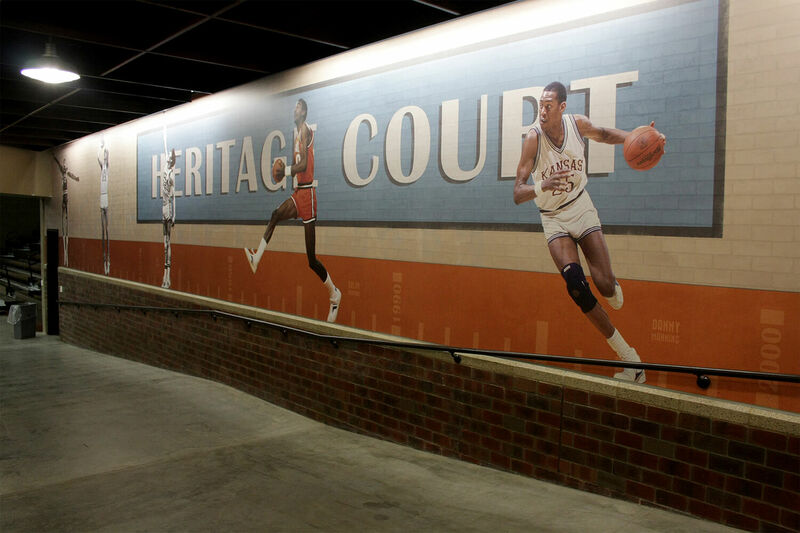 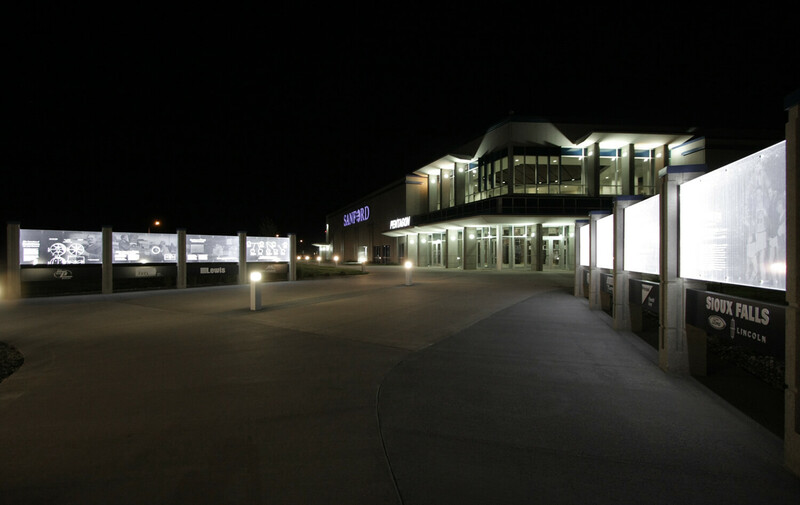 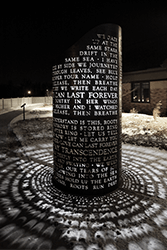 The entrance to the four ramps each have a large graphic panel that announces the entrance to the Heritage Court. 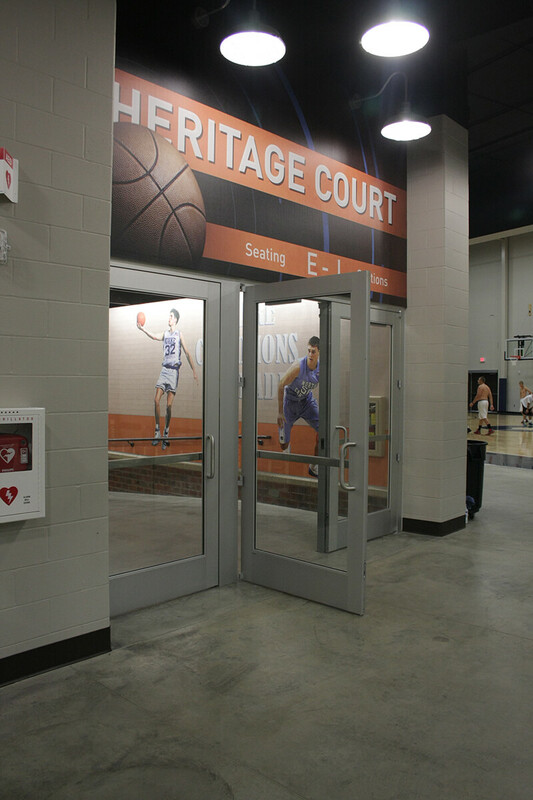 There is also a subtle wayfinding component–the graphic panels are color-coded with the ramp murals, in addition to letting the visitor know which seating areas can be accessed through that entrance. 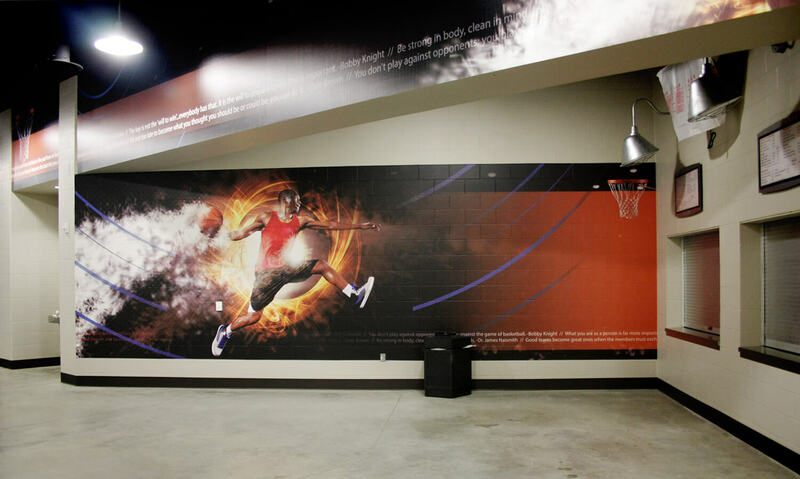 Each of the concession areas have several large murals that focus on the training and personal dedication that athletes of all ages need to pursue.